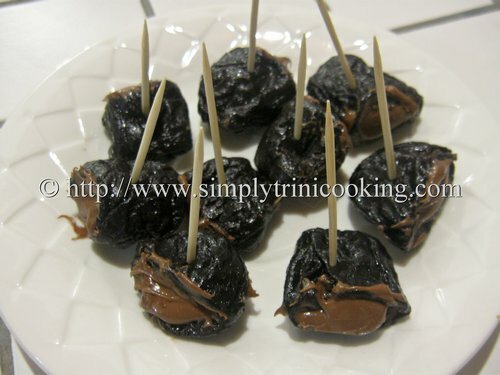 Here in Trinidad and Tobago, years ago stuffed prunes were a popular appetizer at parties and weddings. Nowadays, people shy away from serving it. Why? Should I say the word “laxative”? lol!! Whatever the reasons are they certainly don’t take into consideration that dried prunes are the number one antioxidant food with a low GI rating of 29. Yes, dried prunes has a higher antioxidant capacity than blueberries and even raisins. Antioxidant is a remarkable compound that protects cells from damage caused by free radicals due to exposures such as smoking and pollution. Free radicals causes premature aging, wrinkling of the skin, cardiovascular diseases, and cancer. 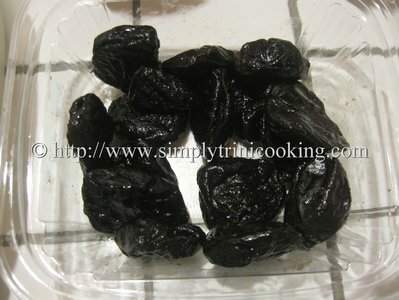 Besides its high antioxidant capacity, dried prunes are also packed with fiber. It also contains sorbitol, making it a natural laxative for those with constipation. To gain that benefit, you will have to eat 100 g of prunes to get 6.1 g of fiber (about 10 prunes). That amount is also a good source of vitamin A, vitamin K, potassium, copper, boron, magnesium, and some phenolic compounds. Another thing I found out about dried prunes is that it can protect against osteoporosis and osteopenia. This was confirmed in a study done at a Florida State University. (If you want to learn about this study, click here, and for a technical reading click here). I believe that all the benefits of eating prunes outweigh the ills that many people think. There is no better way to tell people you care about their health by serving this small appetizer at any event. This now brings me to today’s recipe, Stuffed prunes. This version of stuff prunes will bring a broad smile on your face and probably have you thinking that it would certainly liven up quite afternoons while you watch television. 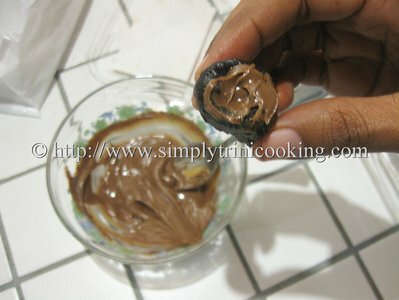 However, I say that these stuff prunes have an added bonus… hazel nut and dark chocolate. 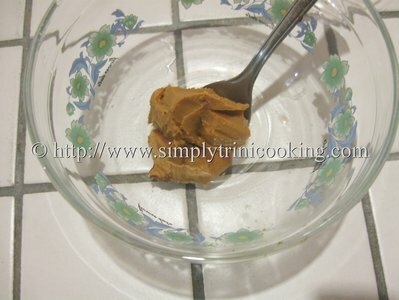 Even more added health benefits, such as lowering your blood pressure, and making this dessert a potent antioxidant. 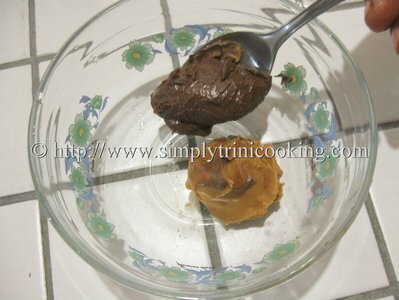 So here is another version of stuffed prunes, hope you like it. Here’s the first version of stuffed prunes. 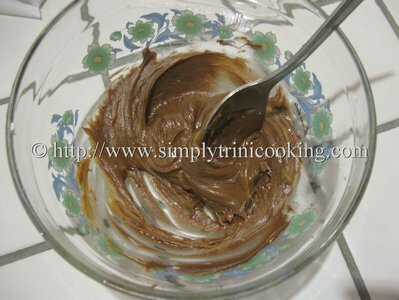 Mix the nutella and peanut butter. Fill the prune then stick with a tooth pick. Refrigerate until ready to be served. Well that’s it for another post. More deliciousness to come. Coming up next….We’ll do a little baking. Until then …. I like hearing from my readers, so leave your comments for stuffed prunes in the comment box below.